Word from the set of Star Wars Episode VII at Pinewood Studios in London is that Harrison Ford has been injured while filming. The 71 year old Ford was airlifted to a local hospital after suffering a fairly serious ankle injury. Rumor is that Ford most likely sustained a fractured ankle when a hydraulic door fell and on his ankle. 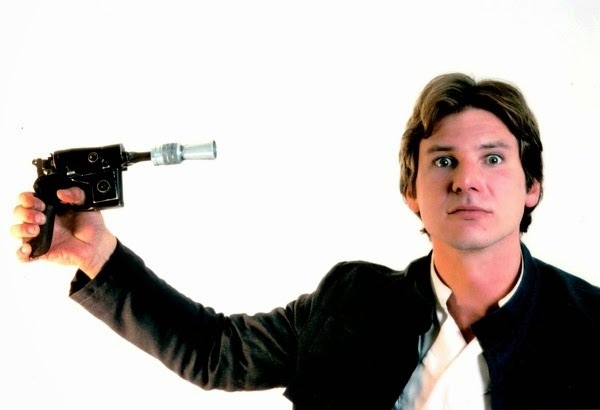 No word on how this will impact the role of Han Solo in the film, but we do know filming is expected to continue. May the force be with you Harrison! Update: Ford will be out 2 months with a broken ankle, but the plan is for JJ Abrams to shuffle things around enough to avoid delay's by shooting Ford's scenes near the end of filming. Thanks to the Hollywood Reporter for the update! Thanks to variety for the scoop!